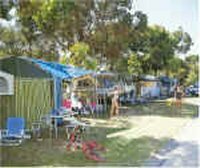 Koonwarra Beach Resort is a 4 star park located along The Esplanade on the Cunningham Arm of the Lakes, just 500 metres from the footbridge that takes you over to the main beach. We have a wide range of accommodation options from camping sites to luxury spa villas. Our fantastic facilities include a pool, an adventure playground for the kids, a games room, a spa, a BBQ area and a kiosk. 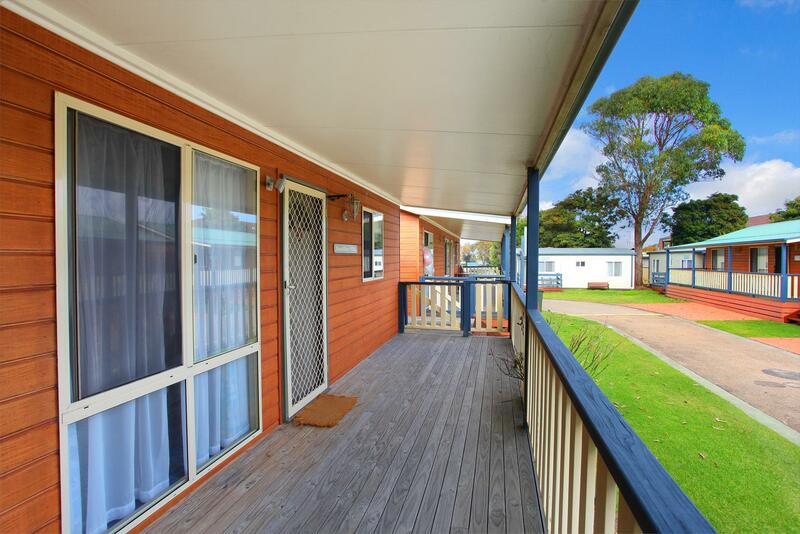 Koonwarra Beach Resort is conveniently located along The Esplanade. 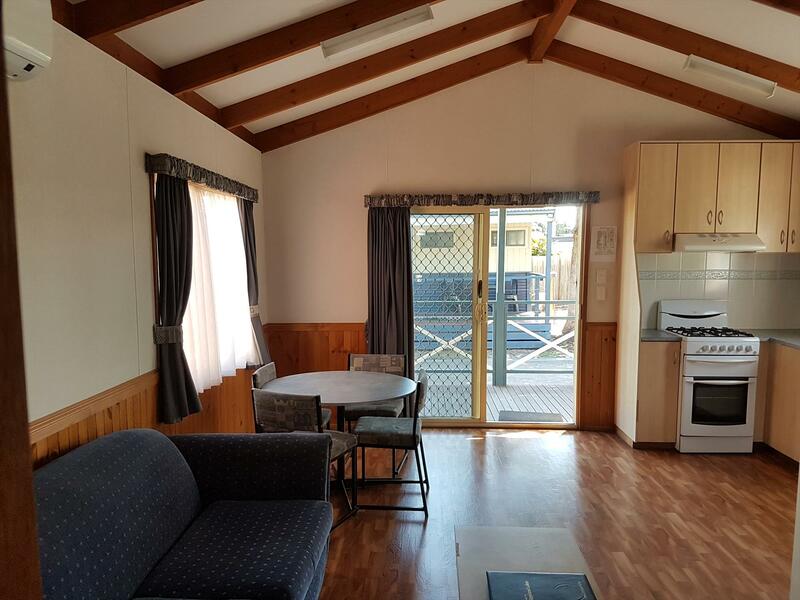 We offer a diverse range of accommodation options including: camping sites, caravan sites, 2 bedroom cabins, 2 bedroom flats, 1 bedroom budget flats and luxury villas. All accommodation is airconditioned. 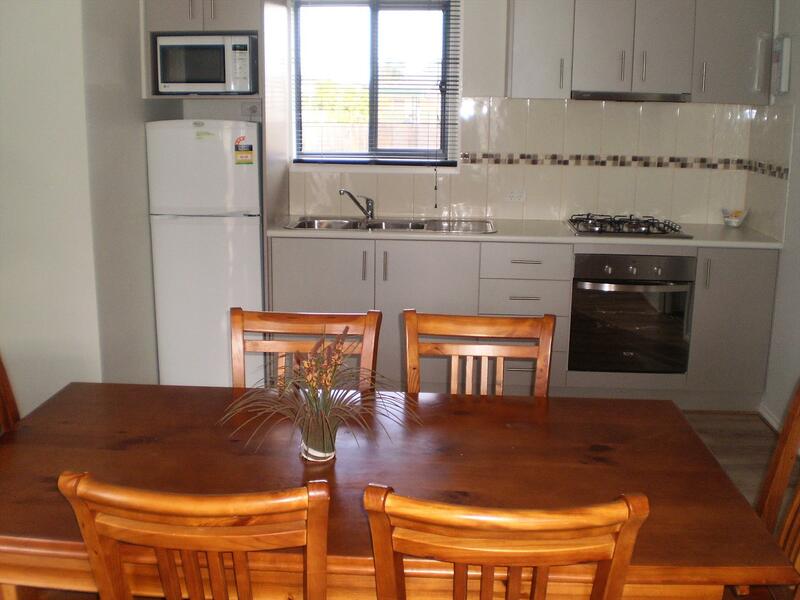 This 1 bedroom flat provides great budget accommodation. It contains a double and a single bed. Linen is provided for the double bed. For the single bed, you can bring your own bedding or it can be hired at an extra cost. There is a separate dining area and a nice covered verandah with table and chairs. Note: Infants less than 3 years of age - no charge. This deluxe cabin contains one double bed and 2 sets of single bunks. (Each set of bunks sleeps 2.) Linen is provided for the double bed only. Bring your own linen or hire it at extra cost for the bunk beds. 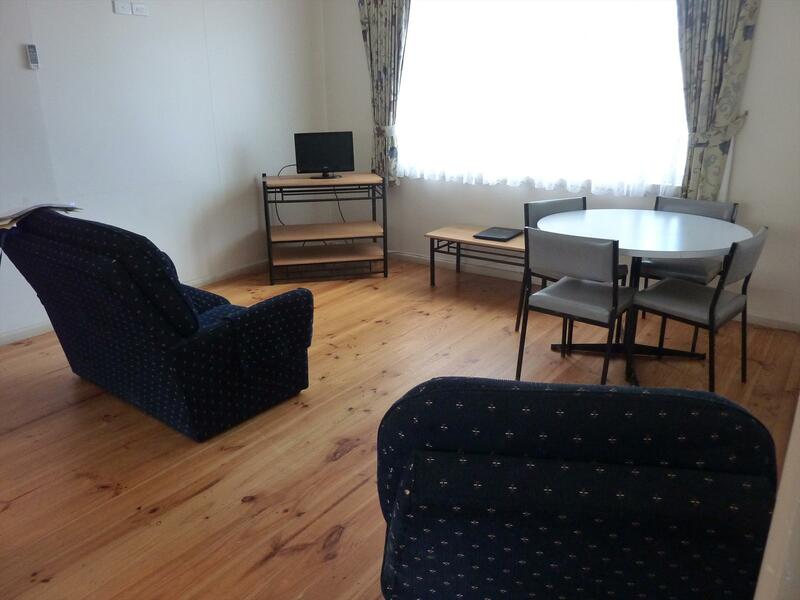 This is a spacious flat which can sleep up to 4 people. Bedroom 1 contains a queen-size bed. Bedroom 2 contains a set of bunks (sleeps 2). Under cover parking. 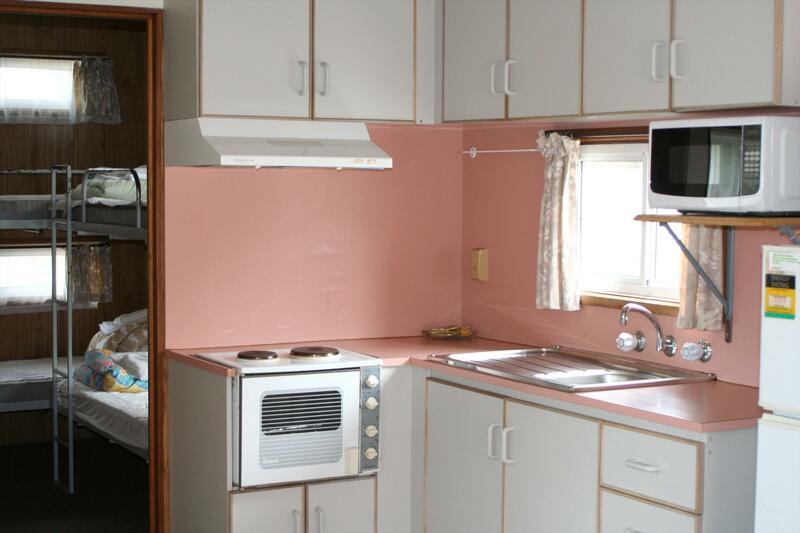 Kitchen has a full-size stove, microwave, and is well equipped with kitchenware. Large TV and a DVD player. 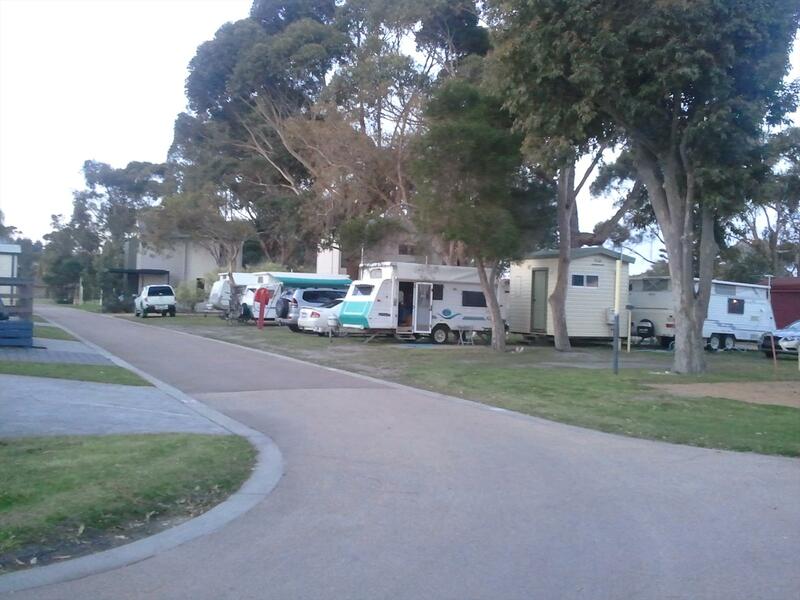 These sites are provided with an ensuite and have power and water facilities. Note: Adults - 16 years plus, children - 3 to 15 years and infants less than 3 years of age - no charge. 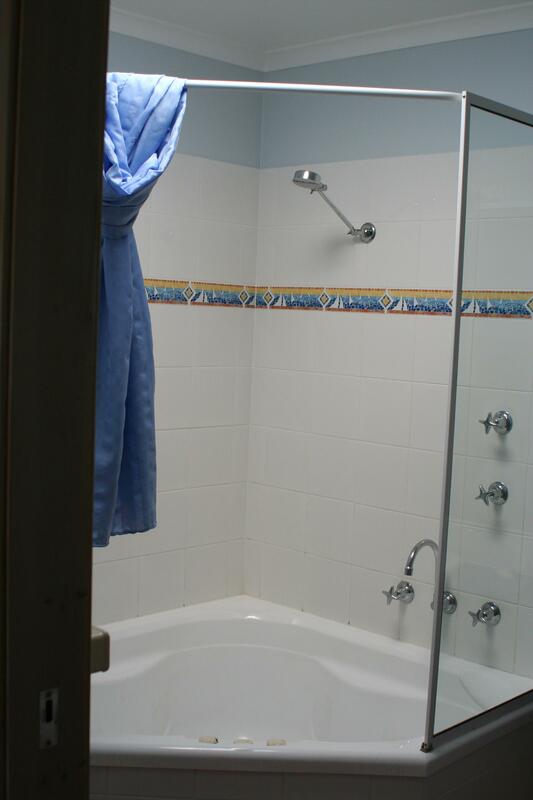 This is a quality unit that has been attractively decorated with a seaside theme. The master bedroom has a queen-size bed, its own TV and direct access to the ensuite. The second bedroom has a Trio - double bed with a single on top. Linen is provided. Note: Infants - Less than 3 years of age - no charge. All of these sites have power and water facilities. Note: Adult - 16 years plus, children - 3 to 15 years and infants less than 3 years of age - no charge. The spa villa contains a queen-size bed in the master bedroom and two single beds in the second bedroom. Linen is provided.